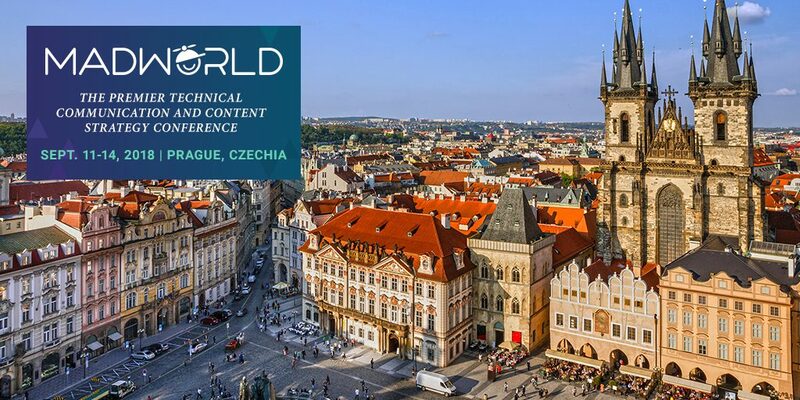 In just a couple of weeks, technical communicators and documentation specialists from all over the European region will gather in Prague, Czechia, for the debut of MadWorld Europe! We’re excited to bring MadWorld for the first time in Europe, and looking forward to a unforgettable conference experience at the Carlo IV, The Dedica Anthology hotel. Meet Eloise Lewis, Senior Technical Author at JHC Systems Ltd.
Eloise Lewis is the Senior Technical Author at FinTech company JHC Systems Ltd. She has been writing user assistance since 2010, driving the move from separate Word and PDF documents to a fully integrated online support centre. Eloise is always looking for innovative ways to create the best experience for users. Hi Eloise! We’re excited to have you at MadWorld Europe 2018. Can you give us a sneak preview of what to expect in your sessions? Hi, I’m really excited to be presenting, thank you! Both my presentations are really practical sessions, where I get hands-on in MadCap Flare. In the first one, Using MadCap Flare to Write for One Product with Different User Experiences, I’ll be looking at how you can add a drop-down selector to topics so that users can display content that is tailored to them. This helped my team overcome a major writing challenge, and I think it could be a really useful tool for other authors too. For example, it’s perfect if you have different versions of a product but don’t want to have separate help sites or distinct pages for each one. For my second session, Interactive Wizards in MadCap Flare, I’ll be demonstrating how to create interactive pages as part of your HTML5 output. These pages have clickable buttons so that users can work through a problem step by step and be presented with exactly the help they need. This is a great way to give users that extra bit of support, especially if you have quite a complex area to cover, or you’re troubleshooting a problem. Both sessions are ideal for anyone who wants to add some extra functionality to their online Help site. Everything I cover is available to start using straight away in Flare, so there’s a real focus on practical features you can experiment with immediately. In your upcoming session, Interactive Wizards in MadCap Flare, you’ll be discussing how to create a click-through wizard for Flare outputs. What are the advantages and disadvantages of wizards for documentation? Wizards are a great way to help users get to the right content for a particular scenario. Instead of spending time sifting through multiple pages to find that one little bit of information they need, they can just work through the wizard and get targeted help that is specific to their current problem. Wizards are great for troubleshooting scenarios or stepping users through a complex task where everything has to be done in a strict order. The only thing to watch out for with wizards is that you don’t hide important content behind a load of questions. Some people know exactly what they’re looking for, and wizards can feel like a nuisance if they’re the only way to get there. To get around this, I like to keep the help text in the wizard brief, but include a link off to the relevant area of the help site. That way both types of users are catered for. Can you share a brief overview of the process of building an interactive wizard? It all starts with a flow chart. This is where you map out all the questions and answers for your wizard and the different paths users can take. It’s where you do the bulk of the work – once you’ve got your flow chart right, the wizard practically writes itself. When you’re happy with your flow chart you can start creating your wizard within Flare. As part of my session I’ll be providing a template wizard topic, which makes this part really easy. All you need to do is update the template to match the structure of your flow chart and check that the different paths through the questions and answers are all there. Then you just replace the template content with your own and you’ve got an interactive page with clickable buttons all ready to go. What are some common mistakes that are made when creating wizards? Not asking the right questions! If you ask a question that isn’t clear, or is ambiguous in any way, users have the potential to go down the wrong path. This can leave them confused or frustrated, which is the opposite of what you want. It’s also easy to write a wizard where the topic in Flare makes sense to you at the time, but if you (or a colleague) go back to it at a later date you find you’re totally lost. As part of my session I’ll introduce a labelling system that gives your wizard topics a clear structure so that it’s easy for anyone to dip into the topic and pick it up straight away. What are some of your favorite examples of wizards used in online Help or documentation portals? To be honest I’ve not seen that many wizards in user assistance sites – I think they tend to be integrated into the software itself. Often these days you don’t even notice you’re using a wizard, especially with mobile apps, as it’s all just part of the user experience. I’d really like to see more wizards in help sites though – why should developers get all the fun? Lastly, bringing it back to MadWorld – what are you looking forward at the upcoming conference? Getting lots of inspiration and being part of the MadWorld experience! The San Diego MadWorld always looks amazing but I’ve never had the opportunity to go, so I was thrilled to hear that MadWorld would be coming to Europe. I’m really looking forward to meeting other Flare users and swapping ideas, tips and tricks. Thanks Eloise! For more information about MadWorld Europe 2018, including the schedule, speakers, and pricing, visit our MadWorld conference page. See you next month in Prague!